Hi there! We survived spring break here at the Sannes household, but not much stamping got done last week. Too much to do, including playing with my kiddos. :) I did get to stamp with my friend Brook and her guests at her workshop last Saturday and I so enjoyed visiting with the ladies there. 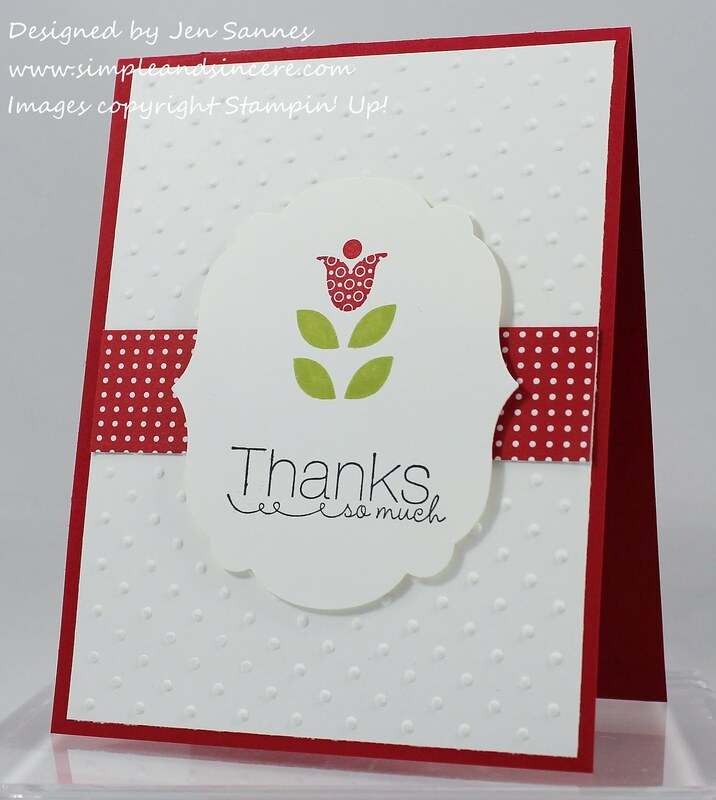 This is one of the cards we made, showing of the versatility of the Bright Blossoms set. So stinkin' cute! This is such a fun set - I know you want to get your hands on it as soon as possible. Don't forget that you can order yours through the end of this month. Visit my on-line store to view the entire Summer Smooches Suite! I have seen your other sharing and this one is also so cute.